The special relationship that exists between mother and child requires a special design. Janel Russell's classic Mother and Child® design has become the definitive and most successful expression of this bond for the past 25 years. Optimistic and positive, gold adds richness and warmth to everything with which it is associated. It illuminates and enhances. Gold represents perfection in all things. Because of its resistance to heat and acid, it is a symbol of stability, eternity and perfection. 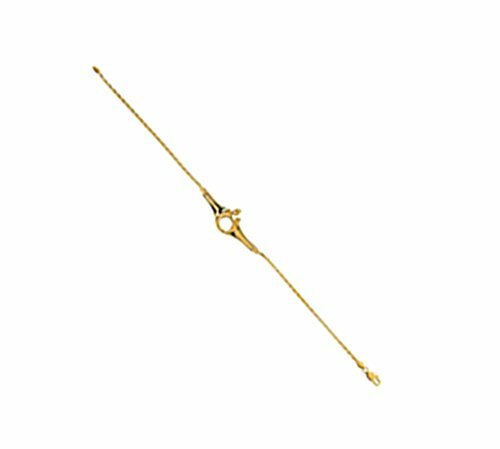 This unique Mother and Child bracelet is finished in deluxe 14k Yellow Gold. What an ideal gift for First Communion, Anniversary, Engagement, Wedding, Birthday, Prom, New-mom , a Romantic for her. Gold is lasting and durable but can get scratched or dented if treated roughly. Also, beware of chemicals. Gold's worst enemy is chlorine. Keep your gold jewelry away from chlorinated cleaning products and out of swimming pools, etc. On a related note, acids, abrasives and other harsh chemicals found in some common household cleaning solutions can weaken your jewelry or damage its finish. It is best to remove all gold jewelry when handling these types of products. Gold can lose its luster over time if repeatedly exposed to dust, moisture, perspiration and makeup. Make sure to clean your jewelry regularly to remove these substances; you can use a cleaning solution of lukewarm water and a mild soap. After cleaning and rinsing, always dry and polish jewelry with a chamois or soft cloth to avoid scratches and to bring out its shine.